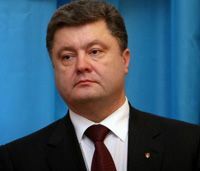 On February 23 President of Ukraine Victor Yanukovych appointed Petro Poroshenko Minister of Trade and Economic Development. The President of Ukraine also appointed first deputy head of the National Bank Yuri Kolobov for the post of Finance Minister. Informed source disclosed this to ZN.UA. it is expected that the press service of the head of the state will publicize these decrees soon.